New research into the effects of alcohol on the human body has revealed that heavy drinking may have a higher incidence rate of being diagnosed with prostate cancer after a biopsy. The new scientific study, recently published in the journal Cancer Prevention Research, found that heavy drinkers were three times more likely to have a high-grade tumor than men that weren’t heavy drinkers. For the purposes of the study, “heavy” drinking was defined as having seven or more drinks a week over a long period of time (one drink a day for 30 years). The study found that what was relevant was the number of alcoholic beverages consumed, not when the heavy drinking began. In fact, researchers found that there was no statistical difference between research subjects that began drinking in their late teenage years to those who began drinking later. In other words, no matter when you begin binge drinking, if you do so there seems to be a heightened risk of being diagnosed with more aggressive prostate cancers. While this study shows some noteworthy correlations, the scientists behind these results readily acknowledge the limitations of the research as well. The study size was relatively small, with data gathered only from 650 men from 2007 to 2018 from a single medical center. Additionally, many of the participants who were diagnosed with more aggressive tumors were also habitual cigarette smokers; with smoking being a long-established risk for many other cancers, this muddies the waters further. More research will need to be conducted to find out if this early evidence of correlation has any deeper meaning. However, the effect that habitual alcohol use has on the human body has likewise been well-documented. 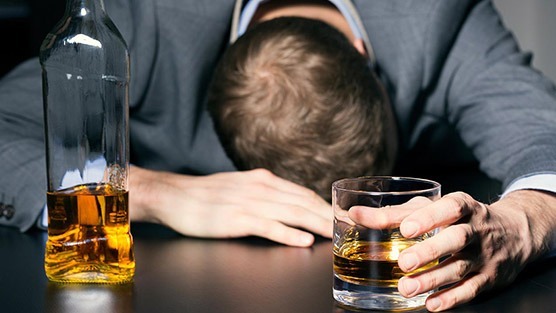 Binge drinking, alcoholism, and its negative health effects certainly contribute to poorer overall health, and it’s not any stretch of the imagination that it could impact men’s health as well. When in doubt, it seems, drink in moderation to not just protect yourself from the possibility of prostate health complications but to provide better health for yourself overall.